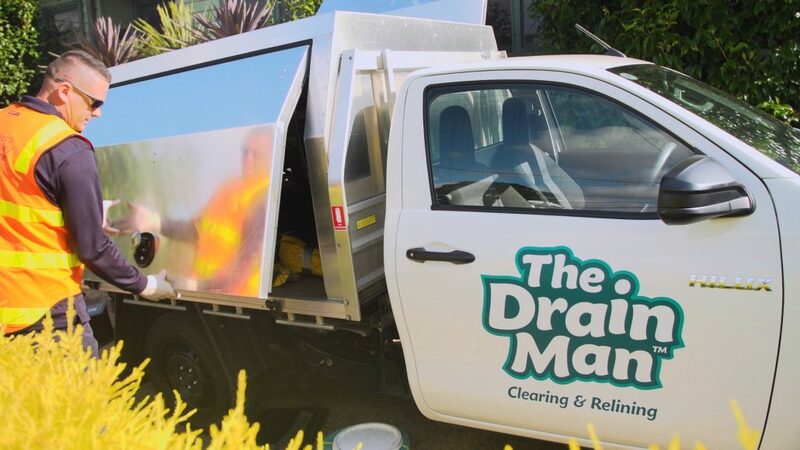 The Drain Man is the original drain clearing and relining specialist plumbers. Founded over 17 years ago The Drain Man has cleared or relined literally thousands and thousands of drains and sewers throughout Australia. We pride ourselves on being industry enthusiasts. We have a “ZERO FAILURE RATE” when it comes to drain clearing and relining. We are renowned as being the “GO TO” Company in the industry. When other plumbers simply cant get the job done they call THE DRAIN MAN. We clear and reline drains for homes, shops,factories, offices, large commercial buildings, and government departments. We operate one of the largest fleets of vehicles in the industry and are proud of our highly trained, dedicated team of plumbers. All our plumbers are highly trained in clearing and relining your blocked and broken drains. We come to your property, locate your drains, send a camera down inside the drain and then show you the footage so you can see the problem for yourself. We communicate with you on how long it may take to clear the blockage. Many plumbers simply put a drain clearing machine down the drain, run it until the water starts flowing and then say it’s done, when the problem could be much more serious. Or they might “have a go”, then walk away because the job gets too hard for them. We have a “ZERO FAILURE RATE” policy which means – give us the time and we won’t walk away from a job without providing you a solution. The Drain Man is just that – we specialise and focus solely on clearing drains and sewers and any blockages.